TeamCME Member TeamCME offers DOT Physicals throughout the nation. Dr. Tigges is a TEAMCME member and is regularly updated with industry training. We will gladly answer any questions you may have prior to your exam. We provide a friendly atmosphere that is stress free. Our office staff Virginia and Shelia will do whatever it takes to help you. We are a TeamCME Clinic! Nationally Recognized as a Provider of Fair, Ethical DOT Physical Exams! No Waiting! We are committed to getting you back on the road in no time. Our goal is to perform a complete exam and have you on your way within an hour. We print your certificate out right after you pass your physical – PLUS a Laminated Medical Card. 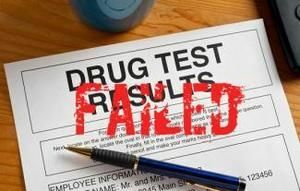 For more information see our Same Day DOT Physicals Drug & Alcohol Testing website. We take care of your DOT Medical Card process and get it done right the first time at Same Day DOT Physicals Drug & Alcohol Testing! The Department of Transportation (DOT) Medical Examination is very highly regulated as illness complications can have serious consequences for the driver, the examiner, and the general public. DOT medical guidelines outline the health criteria that commercial vehicle drivers must meet to qualify for certification. One health condition that is closely reviewed by the DOT is diabetes. Individuals with known or suspected diabetes are required to provide specific medical information to the DOT-certifying physician regarding diabetic control. The DOT definition of diabetic control often causes confusion for individuals seeking certification, as well as their employers. The following information provides answers to common questions and clears up misconceptions about diabetes and DOT certification. The maximum certification for a person with diabetes is one year. According to DOT guidelines, a person with diabetes, whether controlled with diet alone or diet plus medication, must meet the following criteria: •Maintain a glycosylated hemoglobin (Hemoglobin A1C or “HBA1C”) of 10% or less. All drivers diagnosed with diabetes must bring a printed copy of their most recent hemoglobin A1C from his or her primary care physician. This lab value must be 10% percent or less and be done within the last 3 months. The driver will receive a one year certificate if cleared. If the A1C levels are between 10-12% then the driver will receive a 3 month certificate. If, after 3 months, the new AIC levels are 10% or less at the end of the 3 months, the driver will receive a 9 month certificate based on the previous physical exam. If the driver does not have the lab results available or his or her urine is positive for sugar, a random blood test (RBT) will be done. If this is 250 or less the driver will receive a 3 month certificate in which he should see his primary care physician and obtain an AIC lab. Once he or she returns with the report and it is less than 10% then 9 months will be added to your medical certification expiration date. What Truck Drivers Need to Know about Lowering Blood Pressure with new updated Guidelines……………… •Truck drivers with high blood pressure can be medically certified to drive, but will have to lower their BP to under 140/90. •Drivers with high blood pressure who have been medically certified will be required to recertify at least once each year rather than every 2 years. •Blood pressure medication is an FMCSA acceptable method for BP control, but there are also lifestyle methods that will help drivers stay healthy and fit for driving. •Small changes in diet, weight, exercise, and sleep patterns can help lower blood pressure both short and long-term. •People with high blood pressure should always consult with their doctor before undergoing any extreme diet or lifestyle changes. There are a number of things you can do to keep your blood pressure low in the days leading up to your DOT physical. These “fixes" are things that should generally be applied long-term also in the interest of good health. That being said, if your DOT physical is coming up and you need some tips that could lower your BP quickly, below are some ideas that may help: •Eat potassium-rich foods. Both short and long-term, potassium has been proven to help lower blood pressure. Eating foods like bananas, white beans, leafy greens, potatoes, and dried apricots could help lower blood pressure within a couple hours of eating them. •Drink plenty of water. Proper hydration is an essential part of overall health. If your body does not get enough water, it could retain a higher level of sodium (salt), which is a medically accepted cause of high blood pressure. •Lay off the coffee, cigarettes, and booze. Caffeine, nicotine, and alcohol have all been proven to increase blood pressure, especially in the short-term. Excessive alcohol use has an especially direct connection to higher blood pressure. While coffee and nicotine appear to have a somewhat minimal long-term effects on blood pressure in general, consumption generally will raise BP immediately and temporarily. •Eat fruits & vegetables. The health benefits of fruits & vegetables are many and varied, and they should be consumed at every opportunity. •Get some sleep. Especially for chronically sleep-deprived truck drivers, a 45-minute nap during the day has been shown to lower blood pressure. Less sleep has been linked to increased risk of hypertension and general cardiovascular (heart) problems. •Take a deep breath, meditate. Whatever your method, reducing stress in general will have a positive effect on your blood pressure. The American Heart Association has released a scientific statement on alternative approaches to lowering blood pressure that acknowledges that there is some benefit to meditation as far as your heart is concerned. The struggle to maintain a healthy lifestyle on the road when your job depends on speed, efficiency, and the ability to sit in one place for extended periods of time is well-documented. Truck drivers who have been diagnosed with high blood pressure (hypertension), in addition to taking prescription medication, would generally do well to pay attention to certain areas of their health: •Exercise and lose weight. Exercise strengthens your heart. A stronger heart pumps more blood with less effort, decreasing the force put on your arteries so lowering blood pressure. Studies have also shown that even a modest weight loss of 5-10 pounds or so will reduce blood pressure. The American Heart Association recommends getting at least 150 minutes of moderate exercise, 75 minutes of vigorous exercise or a combination of both each week. Breaking it up into shorter "bursts" counts, so it doesn't have to be done in big chunks. Even with the notoriously haphazard schedule of a truck driver, there are still plenty of ways to get exercise on the road. There are many options for both inside and outdoor activity, like weight training or running. Modest Weight Loss Cuts Hypertension •Change to a healthier diet and lay off the salt. Less sugar, salt, and fat, and more water and "real" foods. Planning ahead is a key to eating healthy on the road. Pack a cooler with fruits, vegetables, and meals. Some drivers keep electric coolers or refrigerators in their truck with them, and there are plenty of snacks available that do not require refrigeration. A healthy diet on the road will also help your alertness and decision-making skills, making you a safer driver. It is estimated that 77% of a person's salt intake comes from processed or restaurant foods. These days, despite your craving for a delicious, greasy, fast-food burger, there are healthier alternatives at every turn. Most fast-food places will offer salads or chicken or some other low-fat, low-salt alternatives. Also drink tons of water. Not only does hydration help keep blood pressure under control, but it will help eliminate bodily waste. Your information on the DOT Physical for those with a CDL is spot on, appreciate everything you do. Keep up the good work!!! DOT Physicals New FMCSA Final Rule: Frequently Asked Questions The FMCSA has published a new final rule- The following is strongly recommended- Please pass on to your drivers. Medical examiners will now need to begin using new forms as part of the Medical Examiner’s Certification Integration rule, and the changes to the forms will have an impact on truck drivers. What follows are several changes the rule will bring. Drivers May Want to Get in 30-45 Days Early As part of the new form, if a medical examiner is unable to make a final determination on a driver and needs more information, such as a sleep test or information from the driver’s physician, he or she could mark the form “determination pending.” That would give the driver 45 days to submit the necessary information to the examiner or time for the examiner to request the needed information if a safety letter is required for a previous history of heart disease, diabetes etc. If the driver has a current and valid medical examiner’s certificate (MEC), he or she may continue to operate under that MEC during the 45-day period. However, if the MEC were to expire either before or during that timeframe, the driver would no longer be qualified. “It is tough to recommend drivers go in 45 days early for an exam, but that may be what drivers need to do in order to continue driving until they submit all of the necessary information or they will want to ensure they bring in everything they need when they go in for an exam,” If the requested information is not provided in the allotted 45 days, a new examination will be required in order for the driver to obtain a med card. Drivers May Need Multiple Exams In the past, medical examiners could update or extend exam forms for a certain period, then file them without doing a complete new exam, but that is no longer the case. “Let’s say a driver has hypertension. Today a lot of examiners would issue an extension on the medical card for 30 days, then have the driver come back to show his blood pressure has gone down or has been treated. When the driver comes back they’d sign off on the blood pressure being down and issue a card for one year,” “Now they can’t do that. They’ll have to complete a whole new exam.” Another reason Drivers May Want to get in 30-45 Days Early This is partly due to the way the forms are transmitted. “Once you submit a form, you can’t go in and change it again,” again Drivers May Want to Get in 30-45 Days Early. As always we are here to help, if you, your company or drivers have any questions please give us a call. Not so fast on medical cards: CDL commercial drivers still must carry, Don’t get caught without your Medical Card!! A driver was just in the office with a friend and was surprised that his buddy received a medical certificate/card following his physical here. Apparently, when the other driver got his physical at another clinic, he was told they no longer received a card stating they were "self-certified". That is incorrect. They have to have the card to send a copy of it to the state to "self-certify". The new law states that you have to carry your card for a minimum of 15 days. BUT...since the state and national registries are not linked yet, and since police officers/state troopers do not have the capability of pulling the copy of the card up on their in car computers yet, it is expected that all CDL drivers and any drivers holding a medical certificate/card SHOULD CARRY THEIR CARD WITH THEM. They can be fined or parked if they do not have that card in their possession. You must have a valid MCSA-5876 - Medical Examiner Certificate (A “MCSA-5876 - Medical Examiner Certificate” is provided by a National Registered Medical Examiner only. For additional information, please contact www.fmcsa.dot.gov. ), or a photographic copy of your valid Certificate, to receive a commercial driver’s license (CDL) or other commercial license product (e.g., commercial learner’s permit). The Medical Examiner’s Certificate (DOT card) is a federally mandated (U.S. Department of Transportation) document that certifies you meet all physical and medical standards for operating a commercial motor vehicle and the original or photographic copy must be in your possession whenever you are driving. 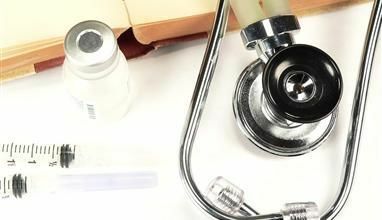 A new federal requirement takes effect May 21 that may affect medical professionals with patients who hold a CDL and need periodic physicals to legally operate a commercial motor vehicle. Beginning on that date, all medical examiners who wish to conduct physicals for interstate CDL drivers must be listed in the Federal Motor Carrier Safety Administration’s National Registry of Certified Medical Examiners. The Medical Examination Report form physical examination section includes checking for hernia for both the abdomen and viscera body system and the genitourinary system. If a hernia causes discomfort or the diagnosis suggests that the condition might interfere with the control and safe operation of a commercial motor vehicle (CMV), further testing and evaluation may be required to determine driver certification status. You should not certify the driver until the etiology is confirmed, and treatment has been shown to be adequate/effective, safe, and stable. Recommend to certify if: As the medical examiner, you believe that the nature and severity of the medical condition of the driver does not endanger the safety and health of the driver and the public. Recommend not to certify if: As the medical examiner, you believe that the nature and severity of the medical condition of the driver endangers the safety and health of the driver and the public. Monitoring/Testing: You may, on a case-by-case basis, obtain additional tests and/or consultation to adequately assess driver medical fitness for duty. The driver must have at least biennial medical examinations. The certification test will be provided at testing centers location across the United States. The certification test is composed of 120 computer questions with multiple-choice answers. Twenty of the questions are ungraded and are being evaluated for use on future tests. Practitioners who pass the certification test will be listed on the national registry. Certified medical examiners must take refresher training every five years, and must retake the certification test every 10 years. They must also report all completed CDL physicals to the FMCSA monthly. What should Motor Carriers and Bus operators expect from the new National Registry of Certified Medical Examiners? On April 18, 2012, a new safety rule was announced by DOT. The final rule requires healthcare professionals who perform medical exams for commercial truck and bus drivers to be certified by FMCSA. Training and testing standards can be found at FMCSA’s National Registry of Certified Medical Examiners website. Effective May 21, 2014, interstate truck and bus drivers must obtain their required medical exams from a certified examiner on the National Registry website. What are the DOT physical blood pressure requirements? A driver with a BP of less than 140 systolic and less than 90 diastolic may be medically certified to drive for a two-year period. A driver with a BP of 140 – 159 systolic and /or a BP of 90-99 diastolic, has stage 1 hypertension, and may be medically certified to drive for a one-year period. Certification examinations should be done annually thereafter and should be less than 140/90. A driver with a a BP of 160-179 systolic and/or a BP of 100-109 diastolic, has stage 2 hypertension, and is a candidate for antihypertensive drug therapy. The driver is given a one-time certification of three months to reduce his or her blood pressure to less than or equal to 140/90. Provided treatment is well tolerated and the driver demonstrates a BP value of less than 140/90 , he or she may be re-certified for one year from the date of the initial exam. The driver is certified annually thereafter. A driver with a BP at or greater than 180 systolic and / or 110 diastolic has stage 3 hypertension and is disqualified. The driver may not be qualified, even temporarily, until blood pressure is less than 140/90 and treatment is well tolerated. The driver may be certified for 6 months and biannually (every 6 months) thereafter if at recheck BP is less than 140/90. Drivers with Type 1 or Type 2 diabetes, or kidney disease require treatment if their blood pressure rises above 140/90, since they already have a high risk of heart disease.